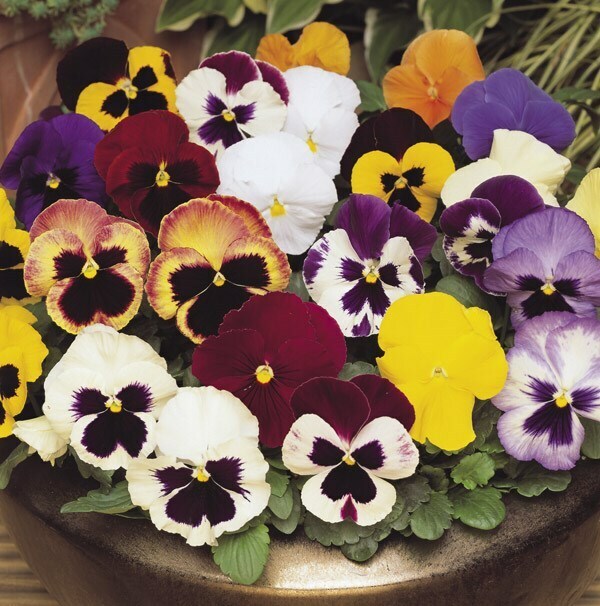 The big, colourful petals of these cheerful annual pansies make them a very showy addition to summer pots, windowboxes and hanging baskets. The flowers are held on short, stout stems and the plants are renowned for their robust growth and bushy habit. Plant them in big clumps where they will flower during milder periods throughout the winter.